The estate of Glenveagh was created in 1857-9 by the purchase of several smaller holdings by John George Adair, a wealthy land speculator from Co. Laois. John Adair was to later incur infamy throughout Donegal and Ireland by ruthlessly evicting some 244 tenants in the Derryveagh Evictions. After marrying his American born wife Cornelia, Adair began the construction of Glenveagh Castle in 1867, which was completed by 1873. Adair however was never to fulfil his dream of creating a hunting estate in the highlands of Donegal and died suddenly in 1885 on return from a business trip to America. After her husband’s death Cornelia took over the running of the estate and introduced deer stalking in the 1890’s. She continually sought to improve the castle’s comforts and the beauty of its grounds, carrying out major improvements to the estate and laying out the gardens. 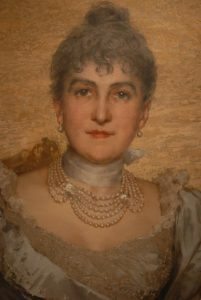 Over the next 30 years she was to become a much noted society hostess and continued to summer at the castle until 1916. 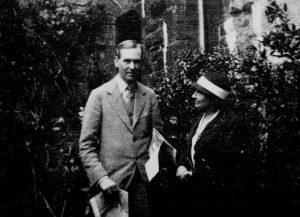 Glenveagh’s next owner was not to be until 1929 when purchased by Professor Arthur Kingsley Porter of Harvard University who came to Ireland to study Irish archaeology and culture. 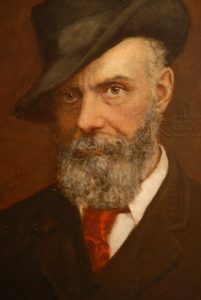 The Kingsley Porters mainly entertained Irish literary and artistic figures including close friend AE Russell whose paintings still hang in the library of the castle. Their stay was to be short however as Arthur Kingsley Porter mysteriously disappeared from Inishbofin Island in 1933 while visiting the island. The last private owner was Mr Henry McIlhenny of Philadelphia who bought the estate in 1937. Henry McIlhenny was an Irish American whose Grandfather John McIlhenny grew up in Milford a few miles north of Glenveagh. After buying the estate Mr McIlhenny devoted much time to restoring the castle and developing its gardens. Eventually Henry McIlhenny began to find travelling to and from Ireland too demanding and the upkeep of the estate was also becoming a strain. 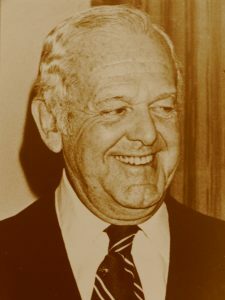 In 1975 he agreed the sale of the estate to the Office of Public Works allowing for the creation of a National Park. In 1983 he bestowed the castle to the nation along with its gardens and much of the contents. Glenveagh National Park opened to the public in 1984 while the castle opened in 1986. Today as under private ownership Glenveagh continues to attract and inspire visitors from all over the world. This section of the website will continue to be developed throughout 2017 and will host information, archives and photos if you would like to know more. Please contact us if you have any specific enquiry we can help with in the meantime.